This item will ship on 06/18/2019. 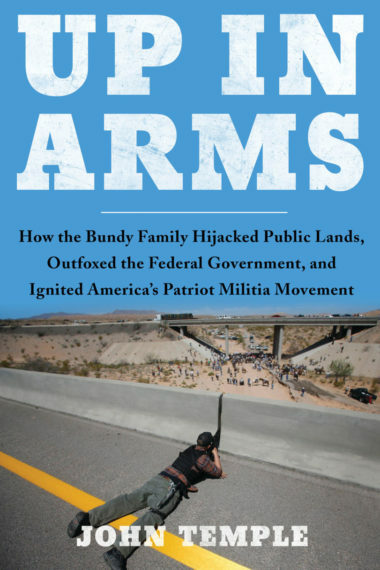 Award-winning journalist and author of American Pain John Temple gives a riveting, in-depth look into how the Bundys, a once isolated clan of desert dwellers, became the top dogs of the anti-government movement following an armed standoff against federal agents, and how their story illuminates the rise of the Patriot militia in America. These words, pounded out on a laptop at Cliven Bundy’s besieged Nevada ranch on April 6, 2014, ignited a new American revolution. Across the country, a certain type of citizen snapped to attention: This was the flashpoint they’d been waiting for, a chance to help a fellow American stand up to a tyrannical and corrupt federal government. Up in Arms chronicles how an isolated clan of desert-dwelling Mormons became the guiding light—and then the outright leaders—of America’s Patriot movement. The nation was riveted in 2014 when hundreds of Bundy supporters, many armed, forced federal agents to abandon a court-ordered cattle roundup. Then in 2016, Ammon Bundy, one of Cliven’s 13 children, led a 41-day armed takeover of the Malheur National Wildlife Refuge in Oregon. Those events and the subsequent shootings, arrests, and trials captured headlines, but they’re just part of a story that has never been fully told. 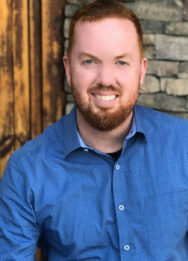 John Temple, award-winning journalist and author of American Pain, gives readers an unprecedented and objective look at the real people and families at the heart of these highly publicized standoffs. Up in Arms offers a propulsive narrative populated by rifle-toting cowboys, apocalyptic militiamen, undercover infiltrators, and the devout and charismatic Bundys themselves. Neither mainstream nor conservative media outlets have contextualized the religious, political, environmental, and economic factors that set the stage for these events. Up In Arms provides a framework for understanding this diverse collection of American rebels who believe government overreach justifies the taking up of arms. John Temple is an investigative journalist and the author of American Pain: How a Young Felon and His Ring of Doctors Unleashed America’s Deadliest Drug Epidemic, which was named a New York Post “Favorite Book of 2015” and a 2016 Edgar Allan Poe Award nominee for Fact Crime. Temple wrote two previous nonfiction books: The Last Lawyer: The Fight to Save Death Row Inmates and Deadhouse: Life in a Coroner’s Office. The American Society of Legal Writers awarded The Last Lawyer the 2010 Scribes Book Award. Temple is a tenured journalism professor at West Virginia University’s Reed College of Media. Before academia, Temple worked as a newspaper reporter in Pittsburgh, North Carolina and Florida.